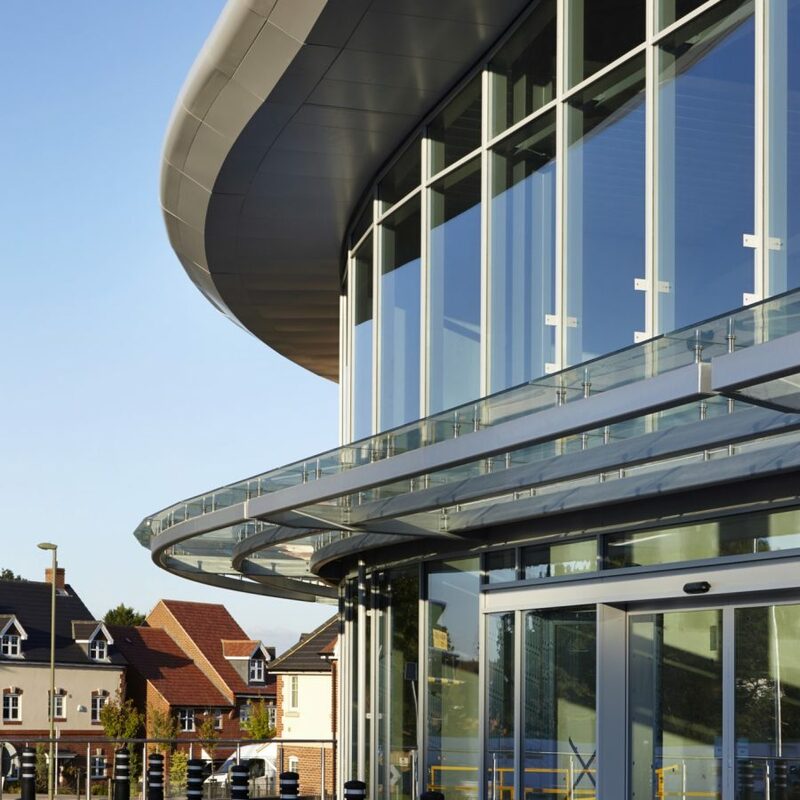 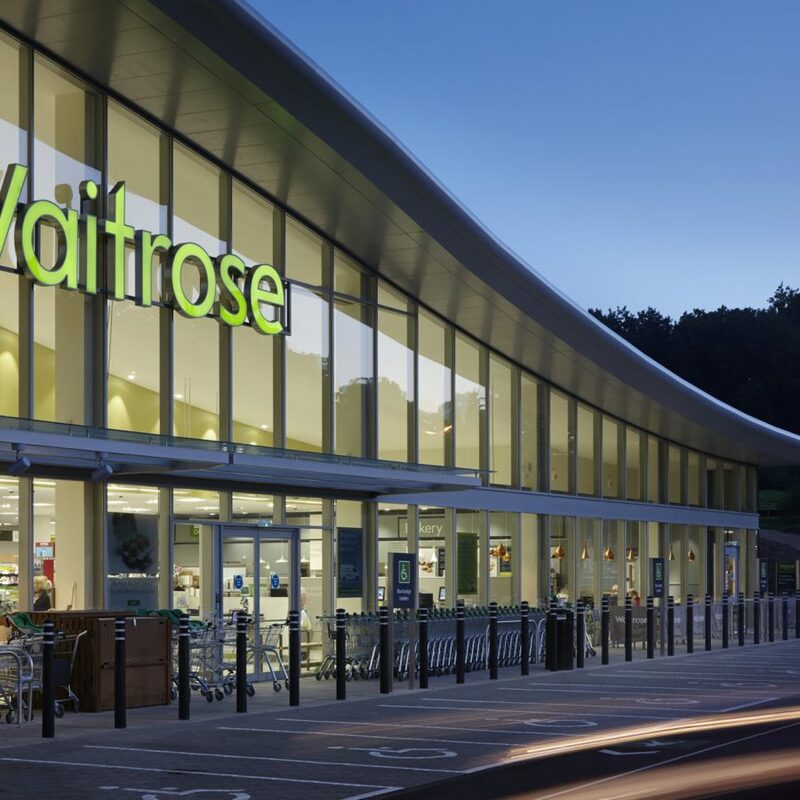 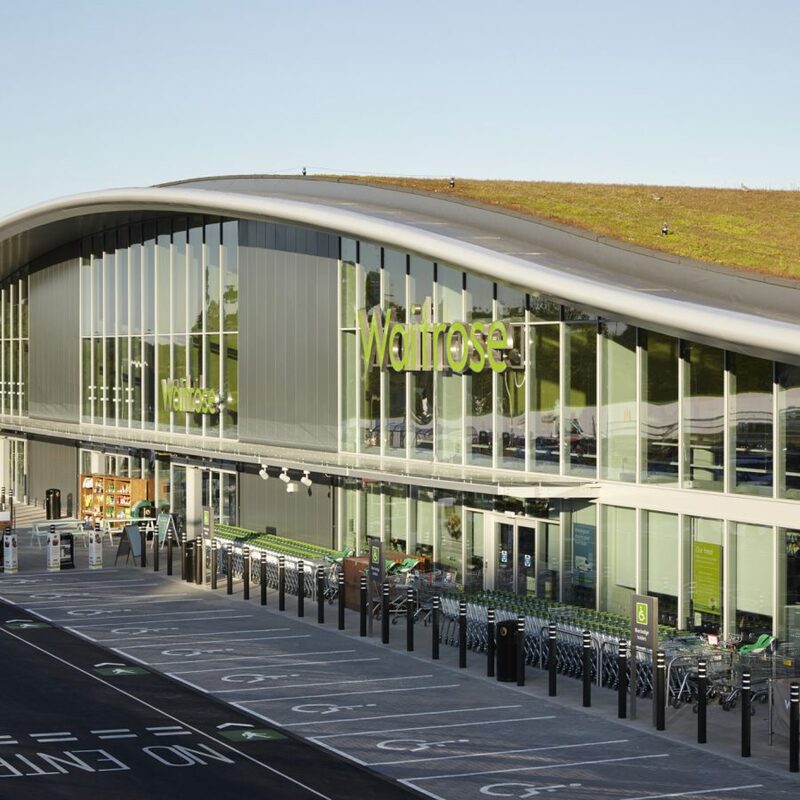 Waitrose Bagshot by Phillips Tracey Architects marks the edge of town with a dramatic, elegantly-designed, environmentally-friendly new building. 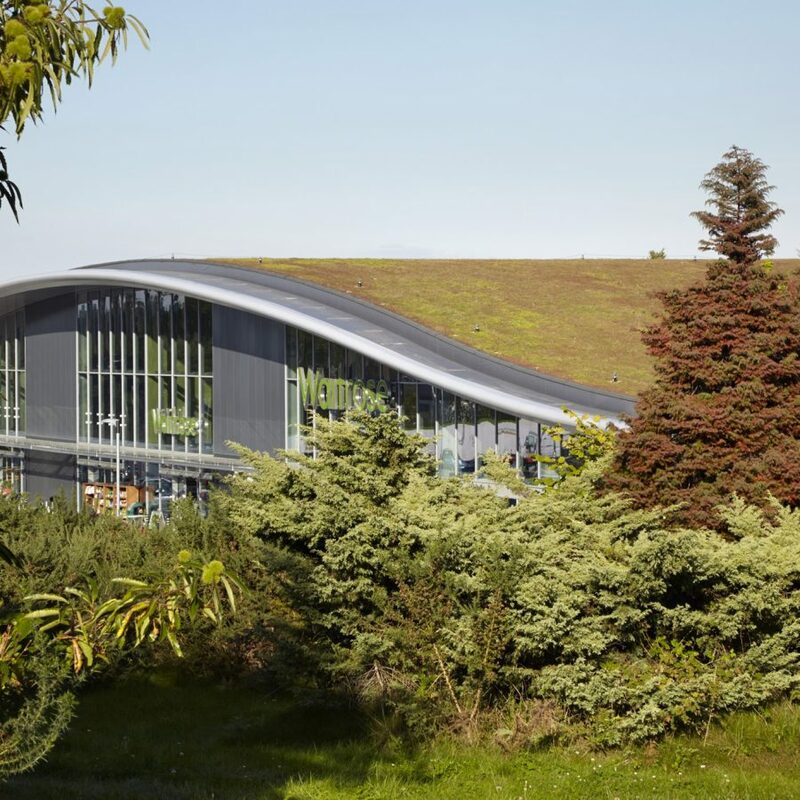 The building’s main feature is a wave-like living green Sedum roof, which provides a sensitive link with the wider rural landscape. 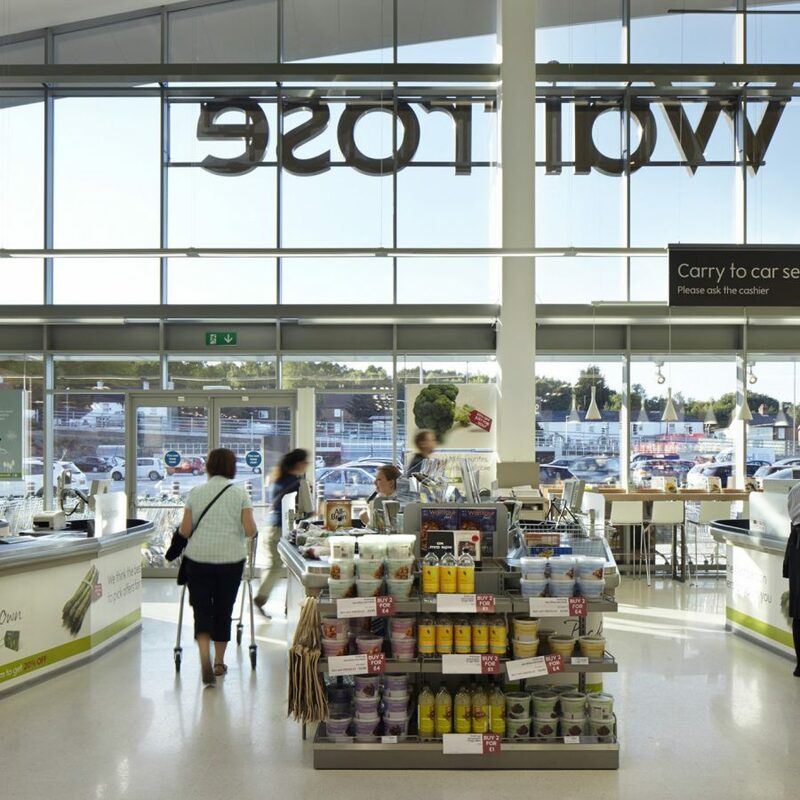 The aim of the development, which has received positive feedback from local stakeholders, is to secure the long-term future of the site by improving the local retail offer.